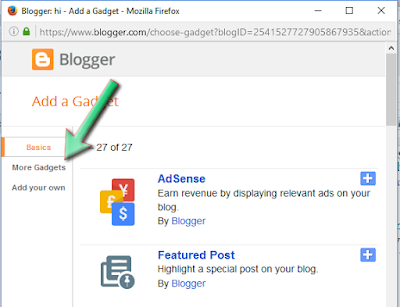 Many people are turning out from using the blogspot blogging platform because the feel that what they need are not being provided by the blogspot developers team, but the fact is, most of the this they want are there, but not by default, and because they do not know how to activate it, then they will be turning away from this simple, free and yet powerful blogging platform. Take for example contact form. Contact provide a way for your blog visitor to send you message or ask you question. without them leaving your blog. So if you will like your visitors to send you feedback of any kind, then using contact form is one of the best way to provide your blog visitor with such opportunity without having to tell them you contact email address or telephone number. 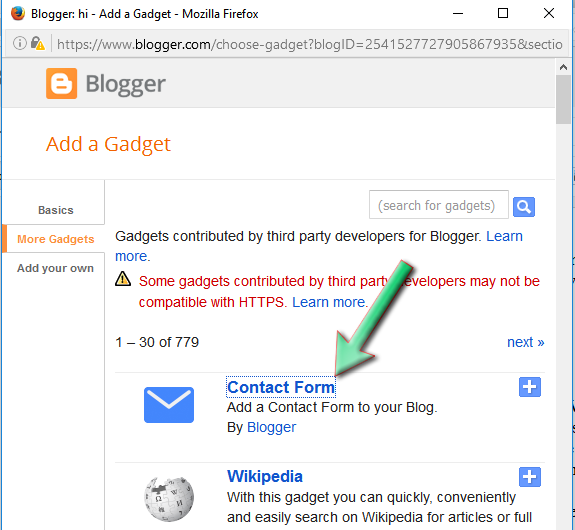 Many people think that this feature (contact form) is not available in the blogger platform, so they turn to other source (third-parties) to get them. While we are not against using third-parties services, we do not encourage them, most especially when your blogging platform (blogger) have made provision for that. And the process of adding a contact form is just as easy as adding another widget to your blog's template. In your blog's dashboard, click on the Layout tab in the left navigation section. Click the Add Gadget option in the section of the blog layout you want the contact form to appear. In the Add Gadget windows that will appear, select the More Gadget option in the left section. 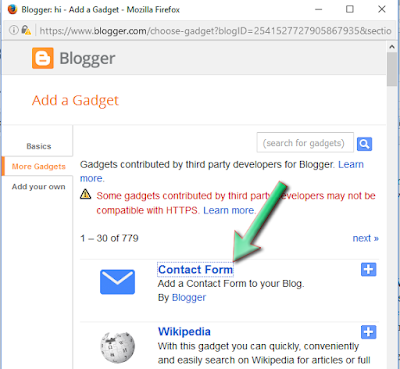 The Contact Form gadget which is developed by blogger is the first gadget on the list. Click on it. 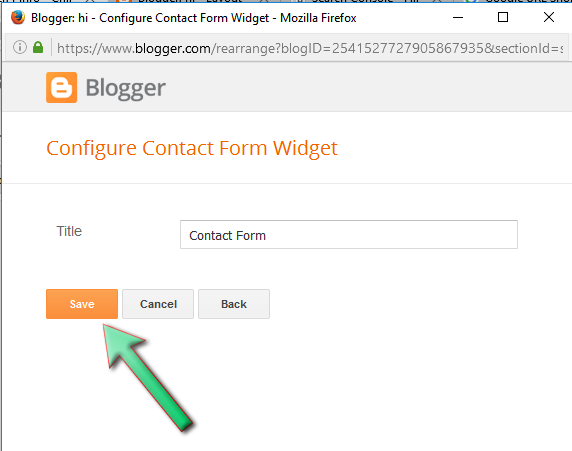 In the Configure Contact Form Widget window, specify the title of the contact form and click on the Save button. Finally, click on Save Arrangement in the blog template screen to save the changes made. Name: the name of the person fill the contact form which is not compulsory. Email: the email address of the person filling the form which is compulsory. Message: the reason for wanting to contact you which is also compulsory. When someone fill the form and submit it, the content of the contact form is send as a mail to you via the email address you are using to operate the blog and also to other people you have added as admin to the blog, and you and them can replay to the message via the mail you receive in your email box. That is how to add Contact Form to your blog hosted on blogger.com server. The Zero Latency Network Discovery Tool is a powerful service providing 2/3-layer discovery & Takeover Tool gives you option for take over an IT infrastructure.